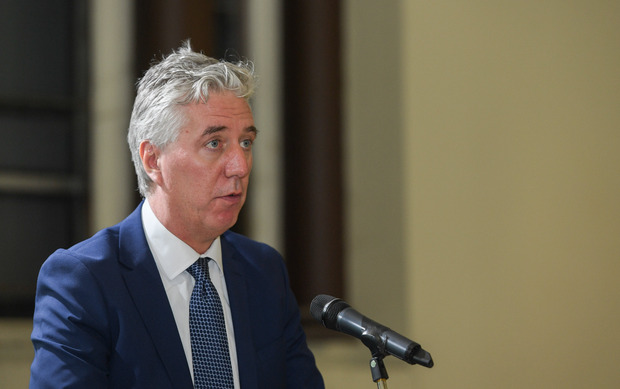 The FAI is the subject of an official complaint lodged with the Office of the Director of Corporate Enforcement (ODCE) about the €100,000 bridging loan it received from John Delaney. Delaney stepped down from his role as CEO last night to take up the new position of FAI executive vice-president. The association has declined to outline the salary Delaney will now earn or how much the new chief executive will be paid once a recruitment process is completed. Delaney earned €360,000 per year as chief executive. Sport Minister Shane Ross is believed to have been unaware Delaney was stepping down prior to last night's announcement. Fine Gael TD Noel Rock lodged a complaint with the ODCE last week. It is understood that the complaint refers to undisclosed issues around expenditure and balance sheet issues at the football association. In a statement last week, the FAI said it wrote to the ODCE "offering clarification" on the transaction. Delaney will take up his new role with immediate effect following a meeting of the FAI board last Friday.